Who is the Iron Order Motorcycle Club and what are they about? We are Brothers. We are Bikers. We come from all walks of life and every profession. We Ride, we party, we laugh, we grieve, we take care of our Brothers, Maidens, and families, and we still have time to take care of those in our communities that need our help. Chapters of Iron Order Motorcycle Club host and participate in charity events for the good of their communities and for the good of individuals in need. We are sometimes in the local news for these events and at other times, only the recipients know. We don’t do it for headlines – we do it because it’s the right thing to do. 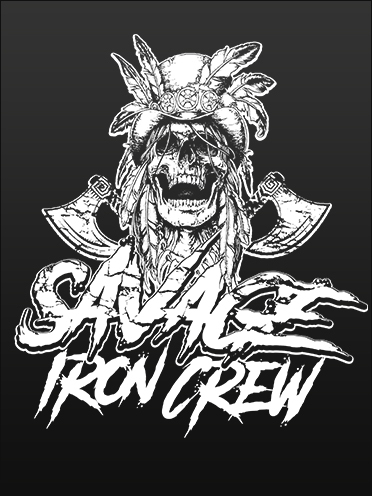 The Savage Iron Crew of the Iron Order Motorcycle Club is the local chapter to Williamsport, PA. We are located throughout North Central PA. The chapter rides and promotes brotherhood in the Pennsylvania Wilds. If you are interested in finding out more about our organization. Contact us and we will get back to you. A Brother of the IOMC is someone who Places a Brother’s Needs Before His Own Wants, better known by us as My Brother Before Me. He is a chosen family member who we respect and love. A Biker is not simply someone who rides a motorcycle but rather, someone who lives a lifestyle. Someone who can’t get enough of being in the wind and exploring the miles on two wheels rather than being confined to a cage (car). Someone who’s thinking about and caring for his Brothers every day of his life. And someone who has that innate desire for true American Freedom granted us by our Forefathers and the Constitution of the United States to go where we want, gather with whom we want and where we want, and dress how we want. We Respect every other citizen and their right to make the choices of what club they belong to and what colors they wear and, without fear or apology, we demand that they give the same to us. And yes, there are times we have a run-in with someone who doesn't give us that same respect but that’s life in America, where there are good people and bad people, but we will always do the right thing and take the high road. So that’s a small start of a conversation of Who We Are. 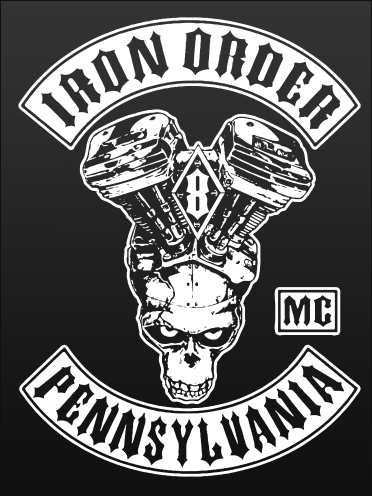 We are the Iron Order Motorcycle Club. We are in nearly every state in the US and many foreign countries and we are 10 Years stronger as of July 2014. So if you see us out, come over and say hello. If you’re missing something in your life, own a bike, and wish to get to know us better because you may be interested in Brotherhood for yourself, hang around and get to know us better. Who Are We? Iron Order!